Over more 20 years and eight studio albums, with another about to drop, Spoon have been a marvel of consistency. There’s not a weak record in their discography, not even the by-their-standards callow debut, Telephono (which leaned heavily on a Pixies influence long since outgrown). Ga Ga Ga Ga Ga and Gimme Fiction, the group’s mid-career masterpieces, are as good as indie rock has gotten in the band’s lifetime. They’re one of my favourite bands, but I caught on late, and still rue the fact that I never got to see them on their way up, at small venues where I could all but reach out and touch the band. Oh yeah, until Monday night, when I saw them play at the 100 Club in London. For the unfamiliar, the 100 Club is a semi-legendary basement venue in an unlikely location on the north side of Oxford Street. Wrong, because it belongs by temperament on the other side of the road, in Soho. To get to it, you have to enter what looks like an office building, dodging the tourists and shoppers as you go. It’s a low room, wider than it is long, with bars at either end of the room, well away from the stage (what a joy not to have your enjoyment of the gig affected by the noise from the bar). The crowd in front of the stage can only be maybe 10 people deep. It’s not the perfect rock venue (the pillar right in front of the stage is not ideal), but it’s a pretty damn good one, and the smallest place Spoon have played in the UK in many a year. The band were warming up for a tour that begins in the US in a week or two and returns to Europe in the early summer, when I’ll be seeing them from the balcony of the Kentish Town Forum. I like watching bands from the balcony – you can see more, and I love watching drummers from an elevated angle. But if you can’t be up high, the next best thing is to be up close, and at the 100 Club, I was really close. Spoon were superb, and could as easily have been midway through a tour than warming up for it. It’s sometimes said that the hallmark of someone who’s really good at something is that they make it look really easy. I don’t know if it’s always true but I’d lean towards maybe not on Monday’s evidence. I watched the band members carefully through the set, looking for the cues they were giving each other; the eye contact and little gestures, sometimes even shouted instructions. What was clear was how hard they all worked, all the way through; there are no passengers. All five men break into a sweat within a few songs, but even given the high work rate of all involved, some contributions stood out. Alex Fischel, who plays guitar, keyboards and percussion, conspicuously worked his arse off all night. Jim Eno – possibly the world’s greatest drummer – hits the drums a lot harder than I perceived from the balcony at Shepherd’s Bush. 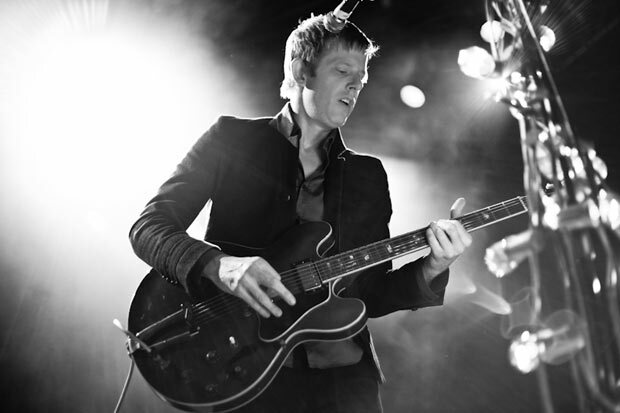 Finally, Britt Daniel – by most accounts a quiet and focused individual offstage – is a charismatic frontman and a well-practised engager of audiences. He held the audience in the palm of his hand, and his voice, hoarse and congested-sounding though it is, is capable of surprising purity and vulnerability on quieter songs. The new songs – Hot Thoughts and Can I Sit Next to You plus two others I didn’t know, sounded great, just as good as anything they’ve done before, so I’m pretty excited about the prospect of a new album and another London show in the next few months. God bless Spoon. May they live another 20 years. *On penultimate song My Mathematical Mind, the cymbal-crashing finale of the song was rawly, viscerally thrilling. Eno so rarely draws attention to himself in his playing that when he does it’s a proper treat. This entry was posted in Music and tagged Alex Fischel, Britt Daniel, Can I Sit Next to You, Ga Ga Ga Ga Ga, gig review, Gimme Fiction, Hot Thoughts, Jim Eno, Kentish Town Forum, live music, My Mathematical Mind, Oxford Street, Shepherd's Bush Empire, Soho, Spoon, Telephono, the 100 Club, tour on March 1, 2017 by rossjpalmer. 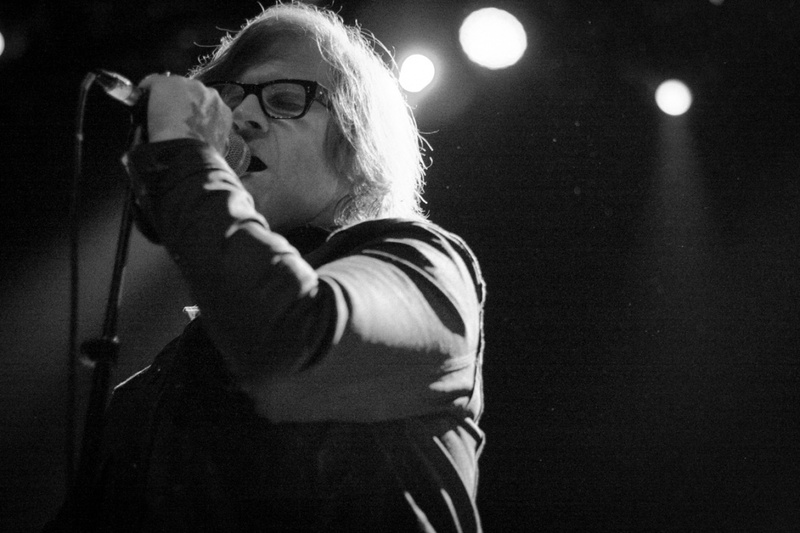 I’ve written before here about how much I love Jim Eno, the drummer from Texan indie-rock veterans Spoon. Watching them from a decent vantage point at the Shepherd’s Bush Empire last night gave me a little bit more insight into how he does what he does, and why it hits me so hard. But that was the least of it. It’s the interplay between all the members of the band that makes them so vital. Britt Daniel’s songs are elliptical and sometimes seem like fragments of bigger works, with changes that seem arbitrary the first few times you hear them, so it’s the band that supply the connective tissue that keeps it all together and functioning. Firstly to deal with Eno, he’s got a few cool tricks. The maracas-as-drumsticks thing I’ve got to try; it gives a subtle 16th-note feel to an 8th-note pattern when he does it. Maybe it’d just be messy in the hands of the unpracticed. He played at least one song open handed, hitting the hats with his left hand (Rent I Pay). When he plays 16th notes on the hats with one hand, he’s got a great feel. The more I watched him, the more I thought of Charlie Watts. Ringo Starr’s key drum was the snare. John Bonham’s the kick. Charlie Watts’s and Jim Eno’s is the hi hat. Surprisingly, given the huge drum sound he often has on record, Eno’s playing is fairly light. He doesn’t use rimshots to choke the snare and get more volume and top end. He doesn’t hit from the shoulder; it’s an economical movement of the elbow and wrist, nothing more. His bass drum work suggests and R&B and soul influence. Notably, he was the only band member not introduced by name by Britt Daniel, who just commented at one point to the audience, “Jim’s good tonight, isn’t he?” – Spoon members come and go, with Eno and Daniel the only ever-presents, and the other guys probably a bit younger (Eno’s 48!). Probably Daniel felt that Eno needed no introduction. But he’s only one part of the collective, great as he is. There’s a lot of talent on the stage when Spoon play. Rob Pope, the bassist, is always in the pocket, providing solid low end without swamping things or getting in the way. Any contribution he makes beyond the obvious is always telling. OK, sure, that makes him the archetypal bass player, but every band should be so lucky as to have one. Meanwhile, Alex Fischel and Eric Harvey both switch between guitar, keyboards and percussion, sometimes in the same song. Both play all three with a sure touch, whether playing squonky guitar solos, a pseudo harp solo on the keys or a Motown tambourine pattern. Their versatility is key to the band’s on-stage power, which was sometimes more telling on the quietest songs. The touches the band added during the second half of The Ghost of You Lingers made it one of the evening’s most thrilling moments, proving the group are just as effective playing off Britt Daniel’s surprisingly adept falsetto vocal as they are stomping through the Motown-esque You Got Yr Cherry Bomb or the late-Beatles-ish Don’t Make Me a Target. If it sounds like I’m minimising Daniel’s contributions, I don’t mean to. Obviously they’re his songs and it’s his voice that puts them over, but Spoon are a band I love because of the ensemble playing, and last night – on the last night of the tour, at their biggest ever headlining show in Europe – they tore it up. It was great to see. This entry was posted in Music and tagged 07/11/14 7 November, Alex Fischel, Britt Daniel, Charlie Watts, concert review, Don't make me a target, Eric Harvey, gig review, Jim Eno, John Bonham, Live, Rent I Pay, Ringo Starr, Rob Pope, Shepherd's Bush Empire, Spoon, Spoon live review, The Ghost of You Lingers, You Got yr Cherry Bomb on November 8, 2014 by rossjpalmer. Yesterday I took a break from playing music to go with Mel and watch some music: Midlake at the Shepherd’s Bush Empire, supported by Horse Thief and Charlie Bowdery. Bowdery was on first and, while impressive for a performer and writer of his age (he’s 15), he did not strike me as being ready for national exposure of the kind he must be getting, and one wonders whether his needs (as an artist or a young man) are really being best served by his being asked to play in front of large, uninterested, basically empty rooms. Would he not be better advised to work as hard as he can on his writing for the next two or three years while playing in smaller, intimate venue, and come back to the big stage when he’s learned his craft a little bit? If he were ready as a writer, maybe it’d be fine to throw him in there. But as it is, best of luck to him. They clearly had a few fans in the crowd last night, but Mel and I were not among them. They have a sound worked out, for sure, but song after song passed without a single snippet of melody you could take away with you afterwards. While they would no doubt offer as a counter to this that their music is about feel, offering them platforms on which they can get on with the business of just being Horse Thief, none of them are interesting enough players to justify distending the songs and jamming on them. The singer’s voice too, is an acquired taste. Close your eyes and you could be listening to Billy Corgan. Full marks to the guitarist for his Wilko Johnson-style head movements, though (forward and back, as opposed to the Thom Yorke/Kristin Hersh side to side). Very cool and I was rather jealous. The contrast with Midlake was stark. Midlake formed at university as a jazz band, and more than in the past those roots are evident, both on their new album, Antiphon, and particularly on stage. When I saw them a few years ago in Oxford, they were stunningly good, but there was a reined-in quality to their performance, which judging from last night may have been the influence of now-departed singer-songwriter Tim Smith, who didn’t crack a smile at all that night and seemed a rather joyless presence, for all that he was key to their sound then. 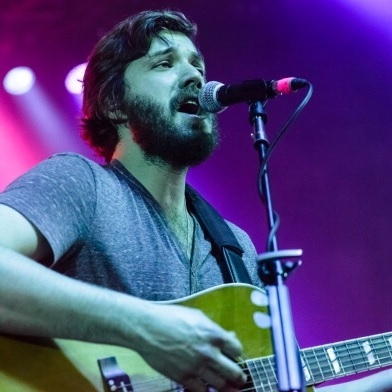 In interviews since his departure, co-guitarist and former harmony singer Eric Pulido (who’s taken over from Smith as frontman) has suggested that Midlake weren’t a hugely happy crew during that tour. That’s only one guy’s side of the story – and as I said, they played wonderfully regardless – but last night they were clearly off the leash. Drummer McKenzie Smith was in fine form, his enthusiastic fills betraying his jazz roots – there were hints of Harvey Mason in his fills (now much more frequent), and the tom-heavy beats of the Antiphon tracks suggest a possible influence from Can’s Jaki Liebezeit. The old songs naturally enough drew most of the loudest appreciation of the evening, and Van Occupanther was revisited more frequently than The Courage of Others (Small Mountain and Children of the Grounds getting an airing and nothing else, unless I missed it). Which makes sense – in retrospect, Courage sounds like one road they could have gone down after Van Occupanther, and Antiphon another. But the crowd seemed to enjoy the newer songs too, which the band attacked far harder than in the past. Pulido sung well, but his voice was unfortunately buried in a very murky mix, which foregrounded the low end of the bass guitar and drums at the expense of the vocals and snare, which lacked punch and, surprisingly, volume – McKenzie Smith is a light-hitting, unmatched-grip player, and brute volume of the backbeat isn’t a hallmark of his playing, but neither is a thunderous kick drum, and he certainly had that yesterday, so the drum balance that we heard was not coming from his playing. Perhaps it was a democratic decision by the band to sound this way live – ‘We’re a band now, not a singer-songwriter with backing musicians, so the vocals are just part of the sound.’ But the voices were notably lower in the mix than on the new record, and there didn’t seem much need for it to be that way. * The mix did gain a little in clarity and focus as the songs rolled by, but it did somewhat mar my enjoyment of the gig (yeah, I’m one of those people now apparently). Still, they remain a great live band and I was happy to see them. And happy for them that the biggest cheers of the night came after a stomping performance of The Old and the Young, rather than from an older song like Roscoe or Head Home. It got the crowd moving and singing along way more than any other song last night, which is nice for Midlake 2.0. When you think about it, some of the biggest bands in the world (Pink Floyd, Fleetwood Mac) have survived the departures of key singing/aongwriting members. There seems no reason why Midlake can’t carry on in this line-up for as long as they choose. *I’ve done enough live sound to know it’s a thankless task, and a difficult one, so I don’t want to pile in on the crew last night. I get it. All kinds of things can be going on that are totally not your fault – but everyone and their brother will have an opinion on what you’re doing wrong and hold you responsible. Favourite anecdote/worst scenario from my CV: very busy one-day festival in Southend a few years back. 5-minute changeovers between sets. No house drum kit. A lot of acoustic instruments to mike up. The kind of day that runs you to exhaustion and makes you hate everyone. One of the bands’ lead guitarist (playing a DI’d acoustic for a certain song) is saying over the mike that his guitar’s not working, leading everyone to look in my direction and start muttering. Once I made it through the crowd to the stage, I found that the clumsy clod had stood on his cable and pulled it out of the DI box. Yeah, it’s the things you can’t control that’ll kill you. This entry was posted in Music and tagged 26 February, 26/02/14, Antiphon, Bella Union, Billy Corgan, buried vocals, Can, Charley Bowdery, Children of the Grounds, Eric Pulido, Fleetwood Mac, Harvey Mason, Head Home, Horse Thief, Jaki Liebezeit, Kristin Hersh, live review, live sound, live sound problems, McKenzie Smith, Midlake, murk, Pink Floyd, Roscoe, Shepherd's Bush Empire, Small Mountain, The Old & the Young, The Old and the Young, Thom Yorke, Tim Smith, Van Occupanther, Wilko Johnson on February 27, 2014 by rossjpalmer.